Explore the animal world, from aardvark to zebu! Discover hundreds of animals, great and small. Lion and lizard, whale and wombat. Learn one wild fact about each animal. (Did you know that gorillas yawn when they are nervous?) 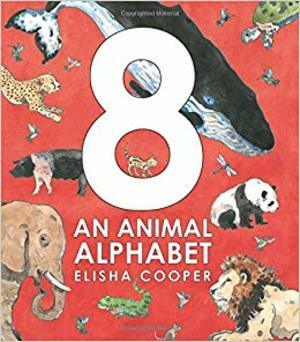 Look carefully, because for each letter of the alphabet, one animal is pictured eight times. Why 8? Come inside and find out.